CHICAGO, US: Leading Real Estate Companies of the World (LeadingRE), a global brokerage services network of 500+ real estate firms with 140 000 associates worldwide, has added 27 new firms with nearly 60 offices and 2000 associates this year in the US and nine countries abroad. In the United States, the new affiliates provide coverage in metropolitan areas including Las Vegas, Scottsdale, Los Angeles and Omaha, as well as resort markets like Steamboat Springs, CO; Martha's Vineyard, MA; and Camden, ME; and many mid-size and smaller markets throughout the country. Expanded coverage outside the US includes several European cities, as well as Japanese, Latin American and Caribbean markets. LeadingRE's newest members in the US are: Beiser Realty, Winneconne, WI; Colorado Group Realty, Steamboat Springs, CO; Jaret & Cohn, Camden, ME; LLB&B Inc. Real Estate, Mobile, AL; Lakes Region Realty Group, Moultonboro, NH; Levin & Rinke Resort Realty, Pensacola, FL; NP Dodge Real Estate, Omaha, NE; Pinnacle Estate Properties, Northridge, CA; Realty of Maine, Bangor, ME; Sandpiper Realty, Edgartown, MA; Sprague & Curtis Real Estate, Augusta, ME; The Maine Real Estate Network, Portland, ME; The Wells Group, Durango, CO; United Real Estate Solutions, Sioux City, IA; Wardley Real Estate, Las Vegas, NV and Walt Danley Group, Scottsdale, AZ. Outside the US, new members include Barcelona Properties, Barcelona, Spain; BlueHouse, Prague, Czech Republic; Cross Point, Bucharest, Romania; domoXim, Brussels, Belgium; ETEN Canarias S.L., Tenerife, Spain; H&R Consultants, Tokyo, Japan; Junot Investissements, Paris, France; Liv Realty, Mexico; IN'S Portugal, Lisbon, Portugal; Smiths Gore Limited, British Virgin Islands and Semusa Realty Corp., Panama. To be invited to join Leading Real Estate Companies of the World, companies must be among the top five companies in their footprint in terms of market share, in addition to meeting a rigorous list of criteria. "Our name is one that requires us to be selective in the companies we bring into the network," comments LeadingRE President/CEO Pam O'Connor. "And in the challenging and highly competitive economic environment of today, it is essential that we attract progressive, innovative brokerages that are committed for the long run. We feel very fortunate to continue to attract this caliber of outstanding companies." 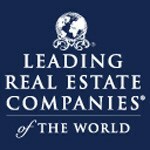 To learn more about Leading Real Estate Companies of the World, visit www.LeadingRE.com. Leading Real Estate Companies of the World (www.LeadingRE.com) is the largest network of top independent local and regional brand-name brokerage firms in the residential sector of real estate. The 500+ firms affiliated with Leading Real Estate Companies of the World are represented by 4600 offices and 140 000 associates in more than 30 countries worldwide. The organisation's leadership is demonstrated by the fact that its affiliates comprise 13 of the top 25 real estate companies in the country. Collectively, LeadingRE affiliates produced over 900 000 home sales valued at US$235bn in the US in 2011. In addition, LeadingRE locally-branded affiliates hold the Number One position in sales in 40 of the top markets in the US, more than any national franchise organisation. For complete information on LeadingRE statistics, visit http://stats.leadingre.com/.